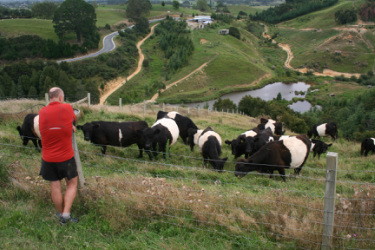 Jono and Sarah Walker arrived in New Zealand in 2003, and bought a 60 acre block of rough, hilly farmland on the edge of the Hakarimata Scenic Reserve, north of Hamilton. We named it Soggy Bottom Holding, as the valley bottom was wet and boggy. 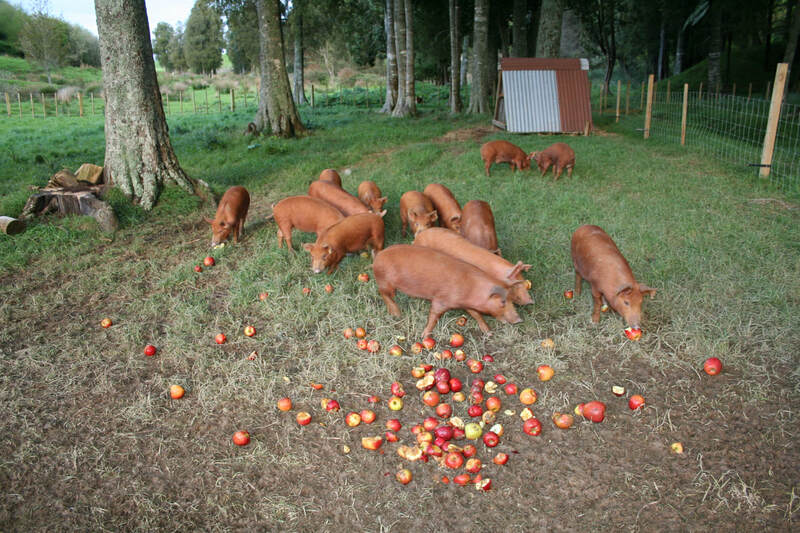 We have gradually developed the land into a small mixed farm, which is environmentally and economically sustainable. We have created ponds and planted over 5 thousand trees to enhance the landscape, provide fruit and nuts, shelter for the animals, and timber for the holding. 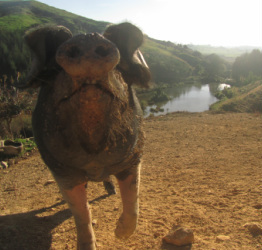 The pigs are free range & forage in the paddocks and the woodland floor, the sheep and cows work the open pasture and the poultry fit somewhere in between. We are passionate about sharing our 'Soggy Bottom' philosophy, which is to have control over the process from paddock to plate. 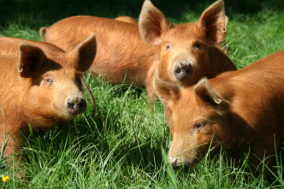 The free-range heritage breed pigs, cows and sheep are grown on our land and then processed in the on-site butchery. We strive to produce really great tasting ‘clean’ food and sell it locally. We love to share our knowledge and experiences with our customers and offer a selection of sausage making and smoking & curing courses from our onsite farm butchery. 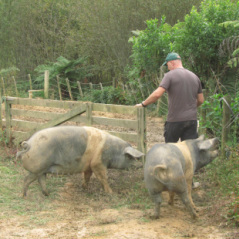 We have had a long interest in pig keeping since buying a Tamworth sow to reclaim a derelict vegetable garden when we lived in the Scottish Highlands. Once she cleaned, rotovated and manured the vegetable patch, an old paddock was re-fenced where she and her offspring grazed on acorns, hazelnuts and ferns. When the first free range pig was killed we realised how much better it tasted than pork we had previously eaten from a supermarket. We also processed some of our home grown meat, making pork and herb sausages and smoked bacon. 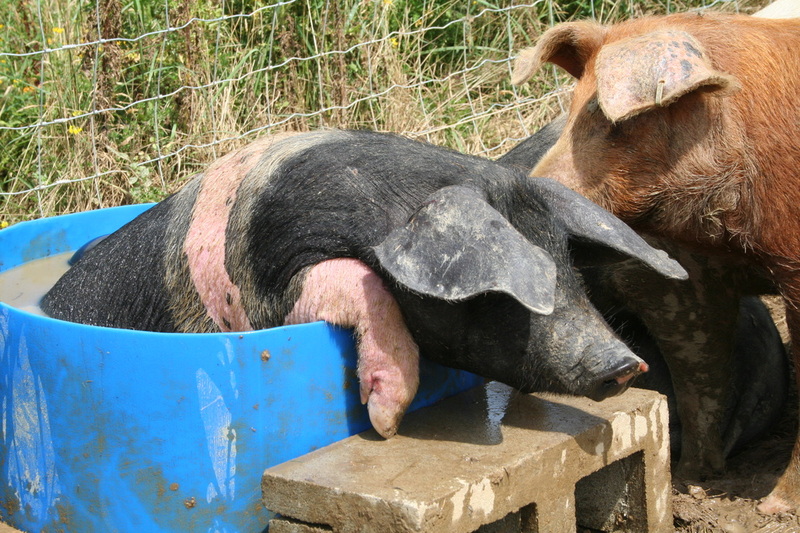 At Soggy Bottom we keep mainly Tamworth and Wessex Saddleback pigs, which are heritage British outdoor breeds. 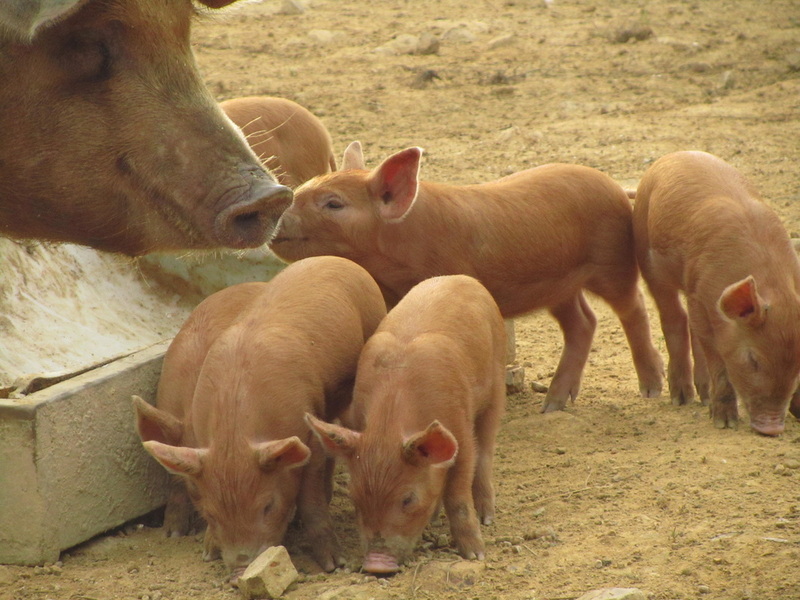 They have smaller litters than modern pigs and are slower growing, but are good mothers and produce very tasty meat. 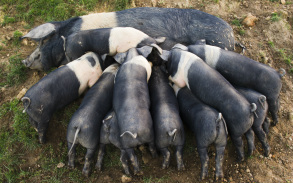 We enjoy our pigs because they are hugely affectionate, intelligent and endearing. 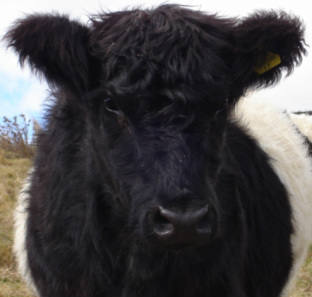 They run free range and have access to shelter, shade, wallows and plenty of fresh grass. 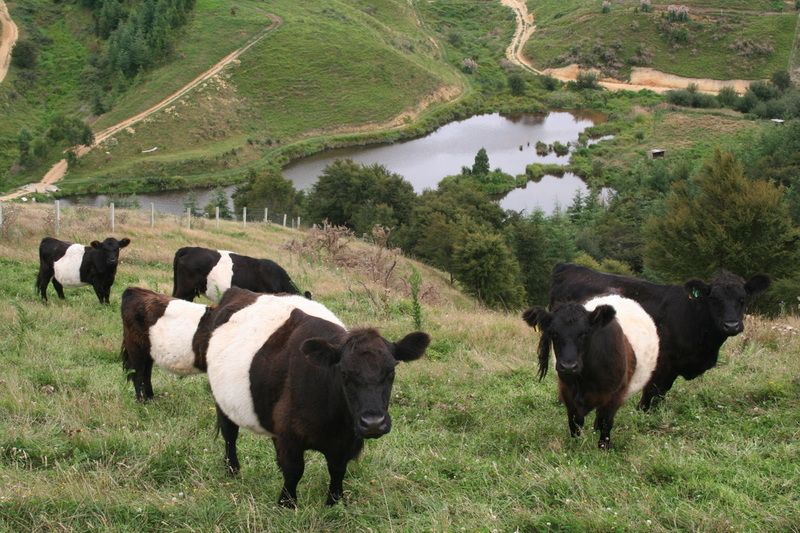 The Belted Galloways are an extremely hardy heritage breed, originally from south west Scotland. They are excellent foragers, and thrive best in rough or hilly country. They turn rough pasture into beautifully tender and well marbled meat. 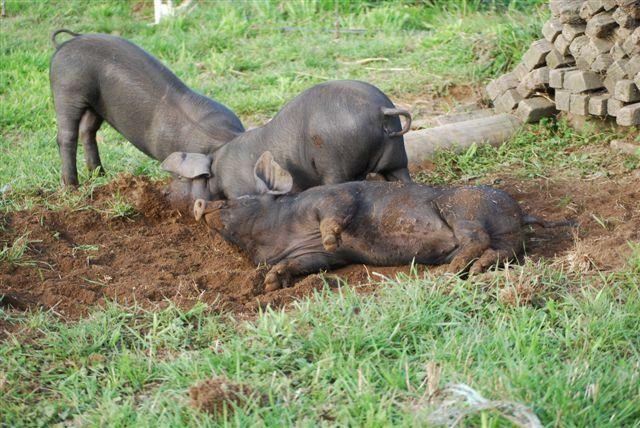 They are also relatively small animals so tend to do less damage to our heavy clay soils.